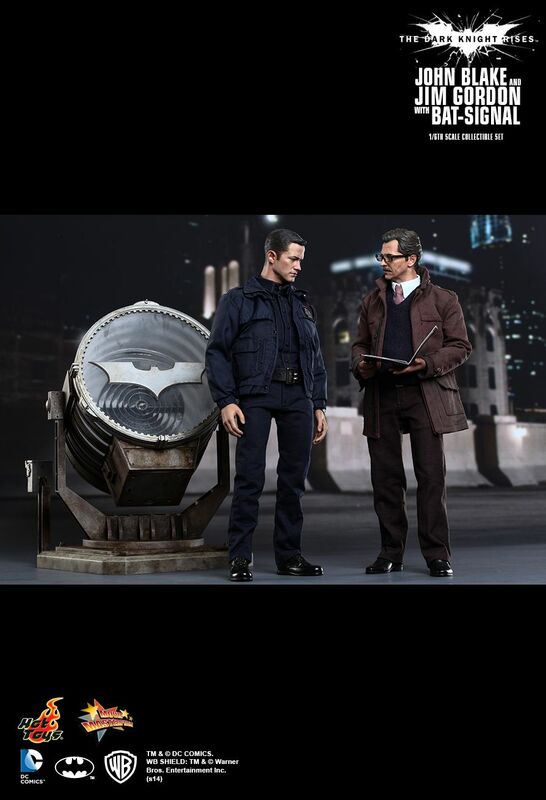 In the beginning of The Dark Knight Rises, Batman has disappeared since the night of Harvey Dent’s death, but when Commissioner Gordon was attacked and hospitalized, Detective John Blake confronted Bruce Wayne and asked him to return as Batman. 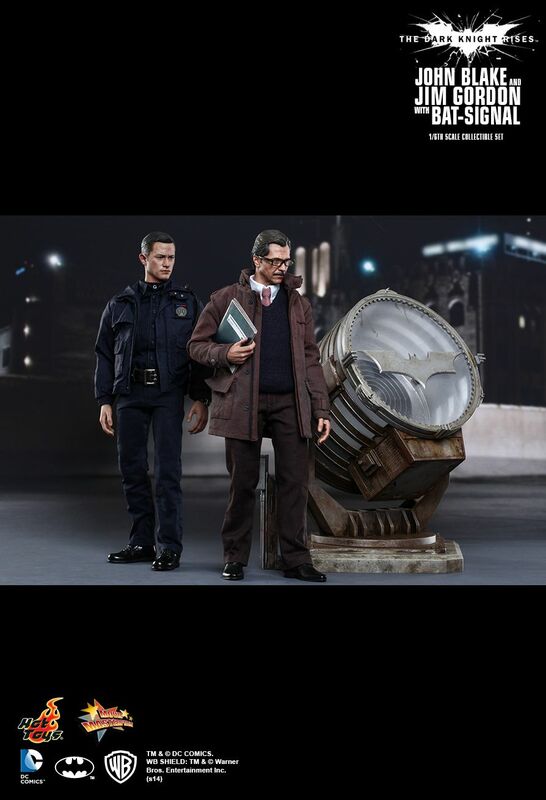 Sideshow Collectibles and Hot Toys are delighted to present a special collectible set which includes the first launch of John Blake in his police uniform, Batman’s ally – Commissioner Jim Gordon - in civilian clothes, and the iconic Bat-Signal from the epic The Dark Knight Rises. 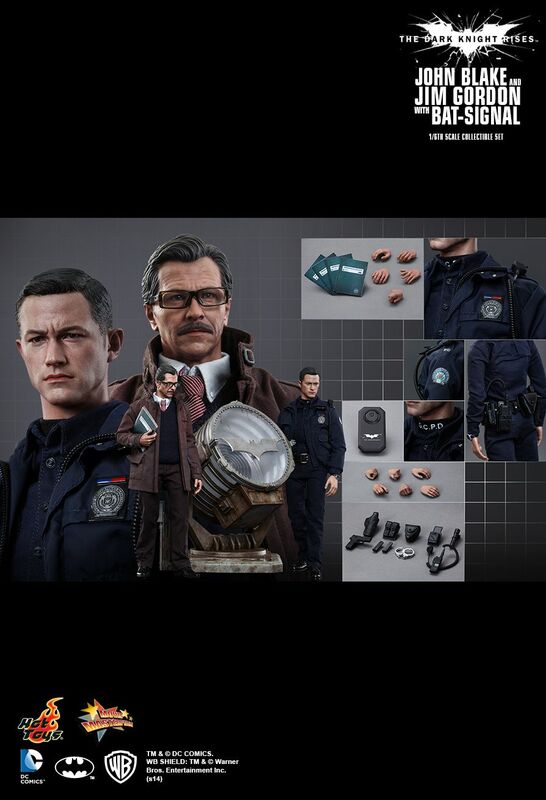 The movie-accurate John Blake collectible figure is specially crafted based on the image of Joseph Gordon-Levitt as John Blake in the film and features a newly developed head sculpt, specially tailored Gotham City police uniform, detailed weapons and accessories. 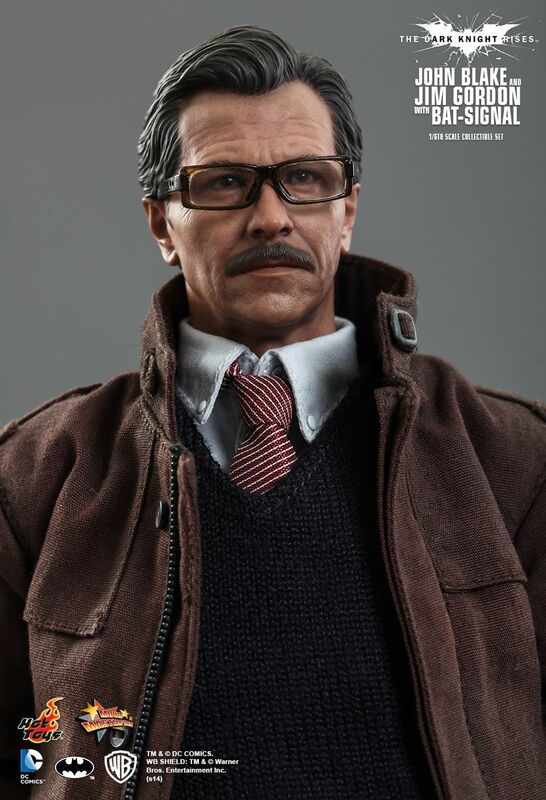 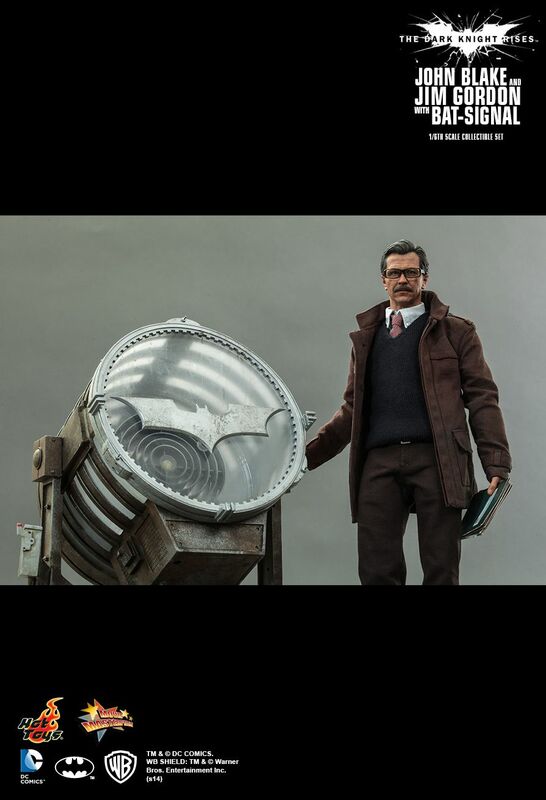 The movie-accurate Jim Gordon collectible figure is specially crafted based on the image of Gary Oldman as Commissioner Jim Gordon in the film and features a newly tailored outfit and detailed accessories. 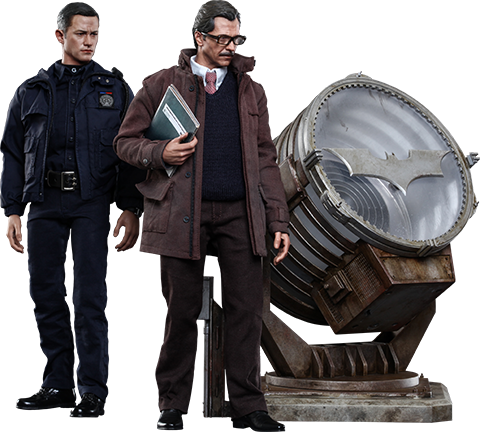 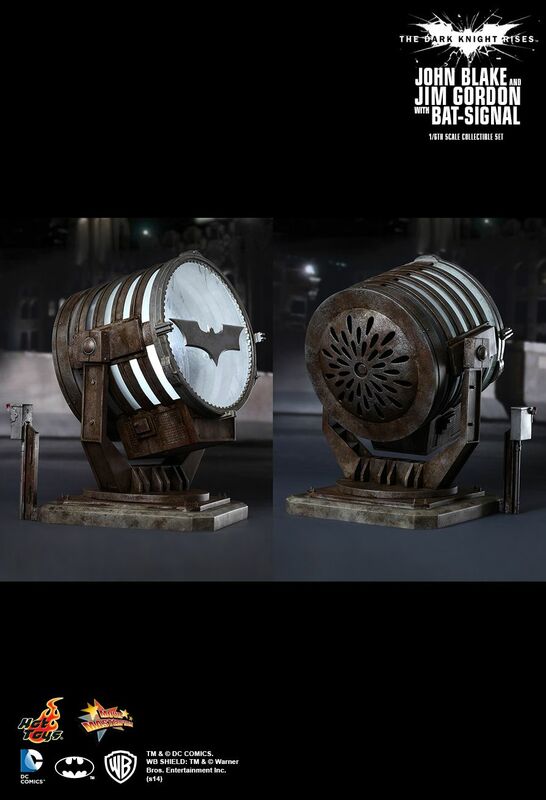 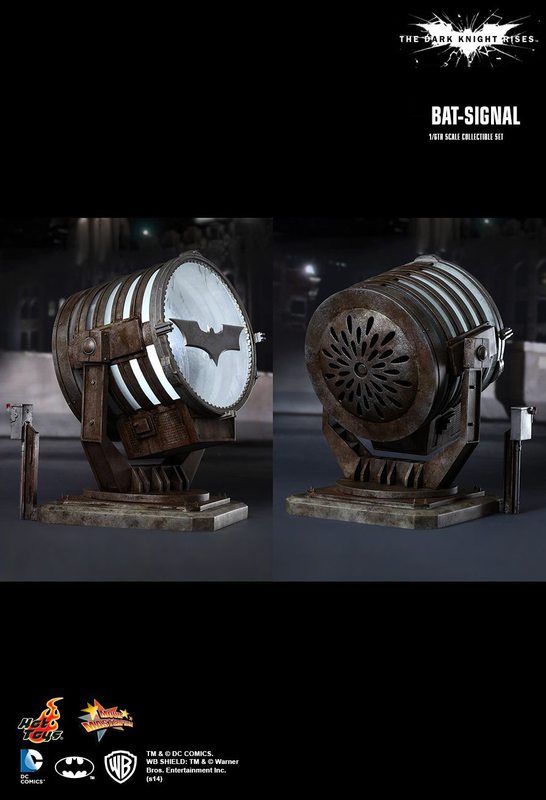 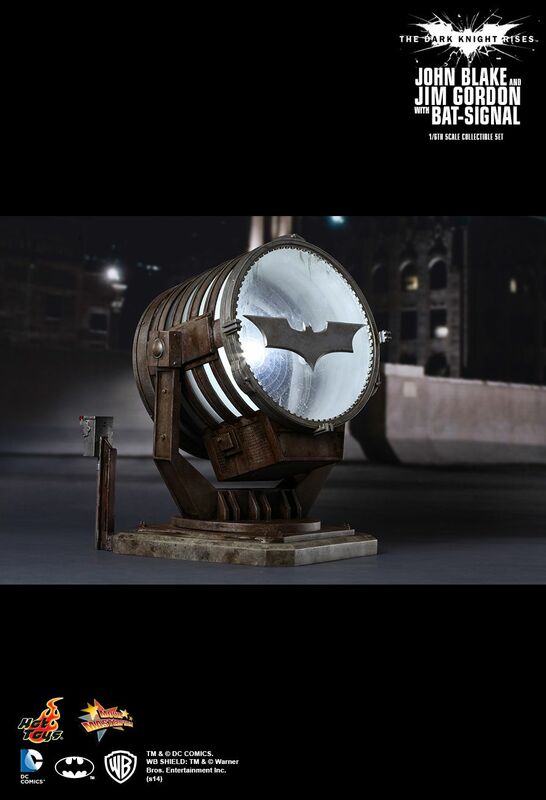 The sixth scale Bat-Signal collectible is highly detailed and finely crafted based on its appearance in The Dark Knight Rises. 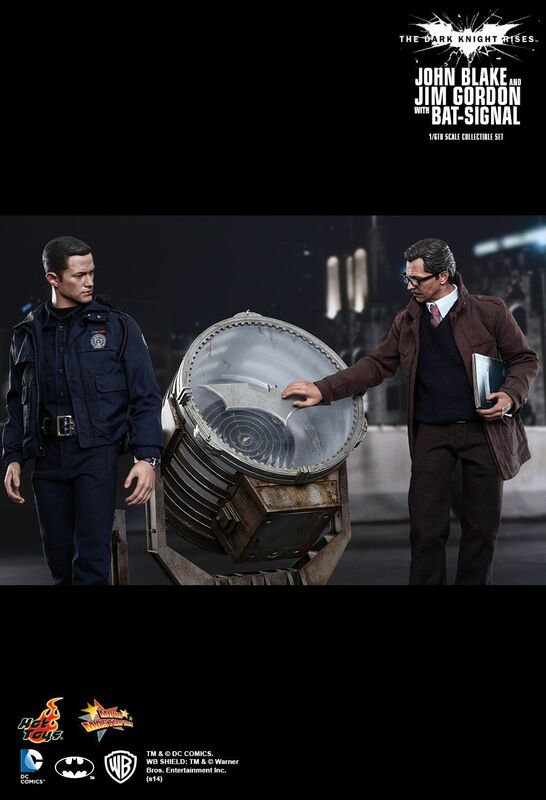 It is meticulously constructed with remote controlled LED light-up function, specially painted with distress effect, and rotatable base. 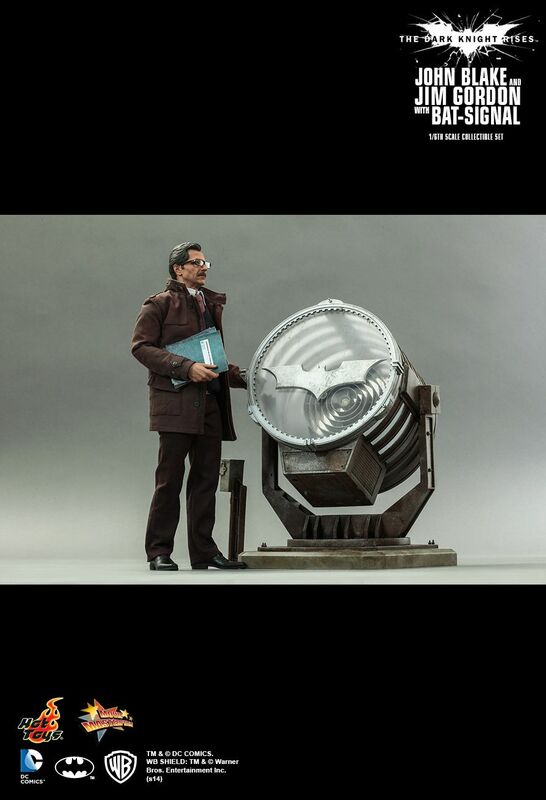 Brand new in sealed Hot Toys Shipper.